When you child is ready to enter kindergarten, it is likely a very unnerving time of your life. After all, you are used to having your little one at home and it’s hard to admit that they are growing up so rapidly. This may make it tempting to not send them to kindergarten when it seems like the right time. Plenty of parents hold their child back a year due to lack of readiness, right? While this might be the case, the choice to hold your child back a year before they start kindergarten is a choice that should be made based off where your child is at, and not where you are at. Continue reading below to learn whether or not it is your child or you who isn’t ready for your little one to start kindergarten. When considering how old your child should be when he/she starts kindergarten, the simple answer is five years old. For the most part, schools begin either August 1 or September 30. On the other hand, there are some children who are ready for kindergarten before they have their fifth birthday. In cases like this, your child can be admitted after requesting early admission. When your child is ready to enter kindergarten, he/she will have to participate in vision, hearing, speech and communication screenings. Additionally, they will have to be screened for medical problems and development disorders. While the outcomes of the screenings will have no effect on kindergarten eligibility, they are often requested. Parents can, however, decide to not have these screenings completed on their child. There are many ways you can help your child to be ready for kindergarten, physically speaking. 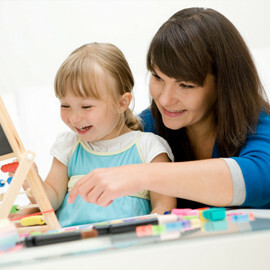 This means that you can provide them with the materials and activities they need to help their motor skills to develop. 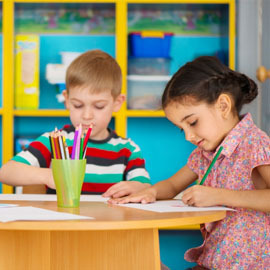 The development of motor skills is great for children as they need them to be able to write as well as use crayons, markers, scissors and more. If you want to help improve your child’s gross motor skills, you should teach them to play ball, on playground equipment or to ride a bike. In order to attend many kindergartens, your child will have to have had all of their vaccinations, as well as a vision and dental exam. Your child will also need to know what his/her full name is, in addition to their address and telephone number. Your child should also be able to use the restroom on their own, tie their shoes , and be able to effectively convey when he/she does not feel well. Being personally aware is an extremely important part of entering kindergarten. If you think your child fulfills all of these requires and you will be ready to enroll them in the First Class Child Development program in the fall, we suggest that you call today. The sooner you enroll your child, the more time he/she will have to prepare for school. 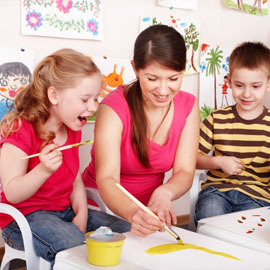 Call us today to learn more about our children’s educational program and what we can do for you.